NAF drilled cuttings and other NAF rig wastes at THE CLEINT’s drilling rigs. 2) Dock access for PSVs provided by THE CLEINT. 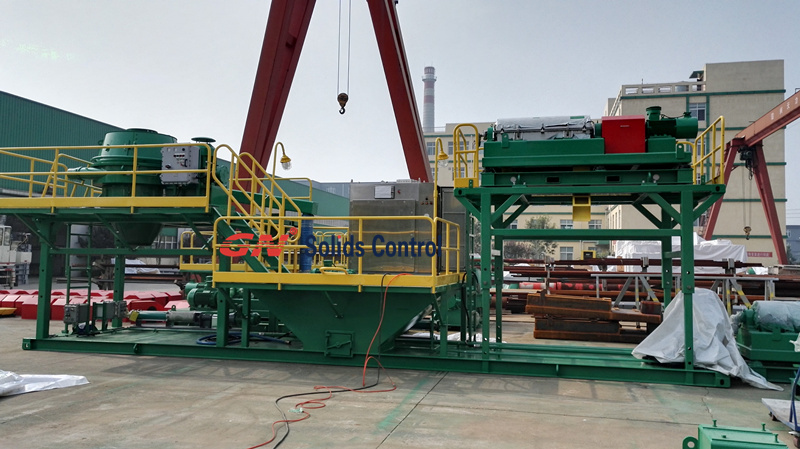 3) Dockside services (i.e., personnel, cranes, and forklifts) for loading / offloading skips/waste oil tanks from the PSVs and loading the skips and / or waste oil tanks on trucks. 4) Trucks for hauling the skips and / or waste oil tanks to and from the treatment facility and within the treatment facility as well as for hauling treated residue from the treatment facility to the landfill. 6) Hazardous waste landfill for treated residue disposal. As we are pure solids control and drilling waste management equipment manufacturer, we cannot offer the service. But we recommend professional drilling waste management service provider to them. In this case, we can cooperation with the Service Company, and give good equipment and service to the end user. The main equipment mentioned in the project is thermal desorption unit (TUD), GN can offer mobile thermal desorption unit (TUD), including Feeding Hopper, burner, thermal desorption unit, cyclone dust separation, vapor recovery unit, oil water separator, water tank, cooling tower, water screen duster, condenser, process control etc. 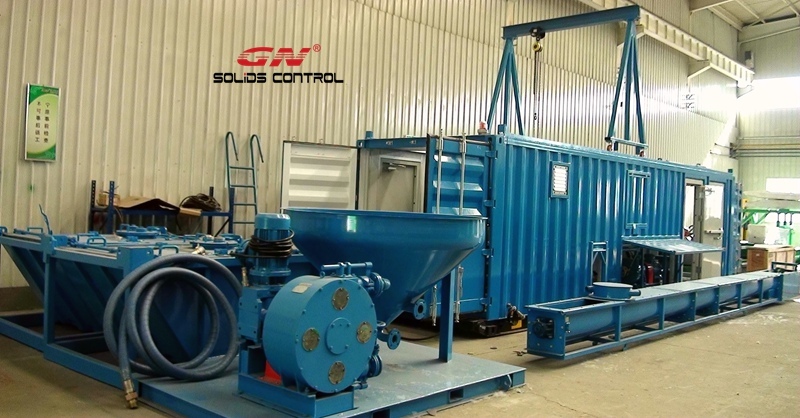 Except for TDU, GN Solids Control also produce all line of solids control equipment, eg. Shale shaker, decanter centrifuge, mud cleaner, agitator, centrifugal pump , 1000gpm mud system, 500gpm mud system etc.